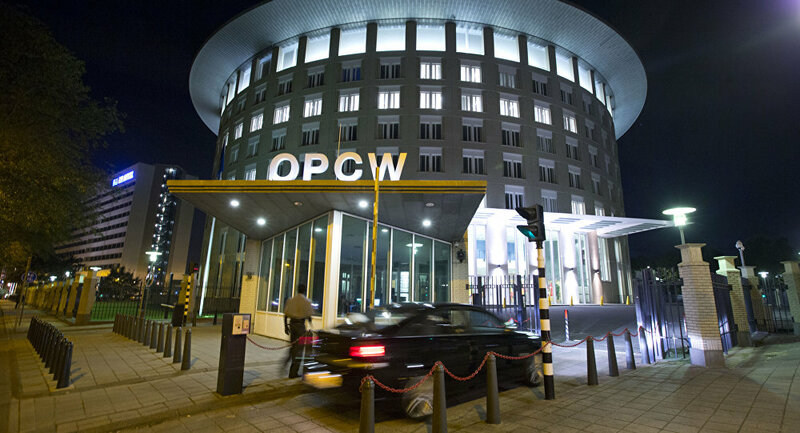 "As a result of political manipulation, as well as, as has became known, the direct bribery of a number of delegations and outright blackmail, the UK and other states that are in favor of strengthening the chemical convention have managed to squeeze out its odious draft decision, which has conferred on the OPCW Technical Secretariat the powers to identify those responsible for the use of chemical weapons in Syria," Russian Foreign Ministry spokeswoman Maria Zakharova stated. According to Zakharova, Moscow considers the "odious draft decision" to be "illegitimate." "We consider this decision illegitimate. We have to point out that the conference of the participating states went beyond the scope of its mandate while adopting this decision," Zakharova said at a weekly briefing. Members of the OPCW on Wednesday approved the UK-tabled draft motion expanding the organization's powers to attribute responsibility for chemical weapons attacks in Syria. Russia and the OPCW disagree on the issue of chemical attacks in Syria as the organization accuses Syrian government troops of a number of chemical attacks in the country while Moscow insists that the accusations are groundless.